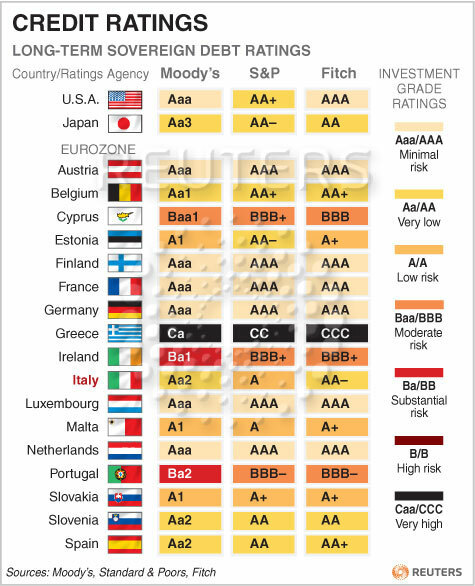 Since Italy has been downgraded by Standard & Poors Reuters released a new graph of the current Euro Zone sovereign debt ratings. Austria, Finland, France, Germany, Netherlands and Austria still have AAA-ratings. Greece has the lowest rating C.